Win a six day safari with Kwando Safaris, by simply submitting a selection of your holiday photos taken while on safari in Kwando camps. Kwando Safaris is considered by many to be the safari operator of choice for the discerning wildlife photographer, due to their long experience in guiding and hosting professional photographers and film makers. 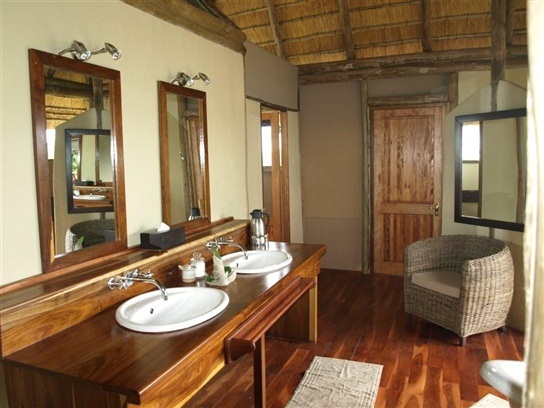 Their circuit of the finest intimate and exclusive camps includes 2 camps in the Okavango Delta, 2 in the Linyanti area, 1 in Makgadikgadi Pans (Nxai) and 1 in the Central Kalahari Game Reserve. 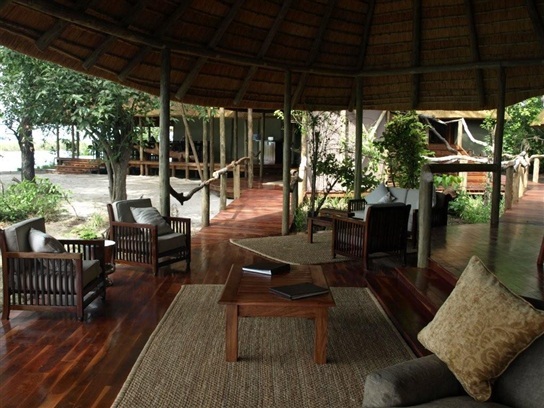 A five night safari through any combination of the Kwando camps. The prize includes full board accommodation, drinks, laundry, all game activities, inter camp charters to and from Maun. It excludes use of a private vehicle, international flights to Maun, safari/other holiday extensions for prize winner and travel companion(s). For complete rules and conditions of this Photo Competition please feel free to contact us. ID REQUIRED FOR ALL GUESTS TRAVELLING THROUGH MAUN AIRPORT! The CAAB has advised that all passengers travelling by light aircraft out of Maun airport (applicable to both domestic and international travel) are required to present official personal identification documents at the security check-point. The only acceptable documents are National Identity Cards (Omang) for Botswana citizens, Passports for non-Batswana and Birth Certificates for children without Passports or Omangs. Driver’s licences, photocopies or any other form of picture identification that is not a Passport, Omang or Birth Certificate will not be accepted. Should passengers not be able to produce one of these identification documents to Airport Security when checking in for their flight, they will be denied boarding. From 1 July 2011 all passengers travelling betweenSouth AfricaandZambiawill be required to have a yellow fever vaccination certificate. A yellow fever vaccination needs to be completed no less than 10 days prior to travelling. Please also be aware that all transit passengers between the two destinations, irrespective of the transit time period, will require proof of vaccination. Passengers travelling between Europe andZambiawithout passing throughSouth Africawill not be required to have a yellow fever certificate. Lagoon has always been a favourite – the place that people just keep coming back to. Rebuilding a camp that brings out such sentimental feelings in people was always going to be a challenge, trying to make sure none of that emotion was lost. 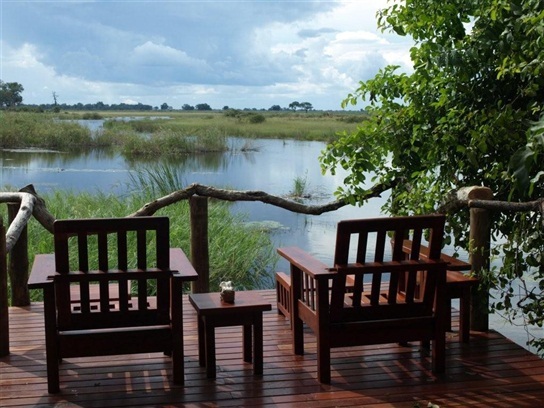 The favourite bits, hasn’t been changed – the views and the deck out into the Lagoon are all still there. The camp has been designed to incorporate as much of that view as possible. From the lounge, bar, dining room, library, and every bed in the camp, all views are looking straight out onto the water. The two-level bar and lounge area is open-fronted, and leads out to the pool area on one side, and connects through to the dining area on the other. Stepping down off the dining room deck is our fireside area, and the main deck out over the Lagoon – a great place to relax and enjoy the views. This area is overlooked by the cosy library on the upper floor of the central reception area. Another favourite part of Lagoon – the wild dogs – are incorporated into the bar and dining area, with photographic prints of them. The décor is a blend of old and new – antique-style vases and morris chairs, modern loungers. The camp has used as much natural material as possible too: old sleepers that were reused from the original camp, large slabs of locally found wood was converted into a bar top, new cabinets were made from recycled teak. The rooms are spacious and airy, with huge shade net windows that let all the natural light in, and those spectacular views. A thatch roof helps keep everything insulated. Each room has a sundeck, lounge area, and a large changing area that continues through to the bathroom. Little reminders of the safari days gone by: Persian carpets, comfy leather chairs, and a claw-foot bath. But it all comes with the mod-cons: indoor and outdoor showers, solar hot-water with a back up electric element for the odd cloudy day. Lagoon Camp has changed a lot. But her magic remains!! In line with the rebranding process taking place throughout Wilderness and in order to further enhance the close relationships between the various arms of the conservation and tourism organisation, Sefofane Air Charters has changed its name to Wilderness Air. The name signifies a logical and strategic move of the 20-year-old air charter company to strengthen its position as a proud member of the extended Wilderness family, while still providing the same excellent service to guests. The charter company has been working around the clock to ensure that the new branding is on all aircraft and uniforms. While the name has changed, Wilderness Air is still flying to same remote areas, with the same superb safety record, all with the aim of connecting guests to the wilderness. THE ULTIMATE BUSH ADVENTURE BY FOOT! The South Luangwa National Park, where the new luxury walking safari camp Sanctuary Zebra Plains will be located, is known as one of the best game viewing areas in Africa and is nicknamed the crowded valley due to the concentration of wildlife in this 9060 km² national park. 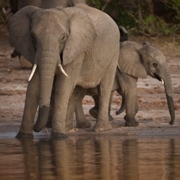 This seasonal camp will be open during the best game viewing months of June to October. During the day guests can expect incredible walking experiences and at night three course dinners with white linen, the finest silverware and lanterns providing the finishing touches. Explore the pristine and unspoilt wilderness of the South Luangwa with one of the country’s most experienced guides whilst staying in luxurious classic under canvas style tents. Book a stay at Sanctuary Zebra Plains for two before 30 April and the second guest’s stay is half price!